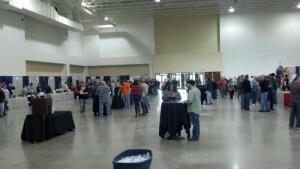 1) We got to “tour” the new Backpocket Brewery. As of right now, it’s a wide-open building with little more than structure. 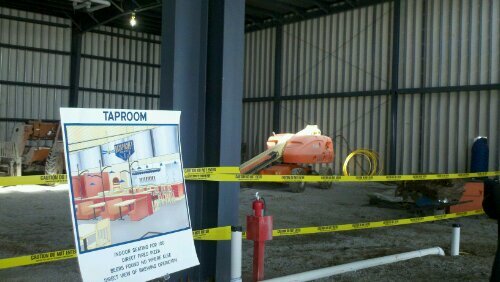 A few concept drawings, like the one labeled “Taproom” were placed in front of the caution tape, but it was exciting to see the progress. 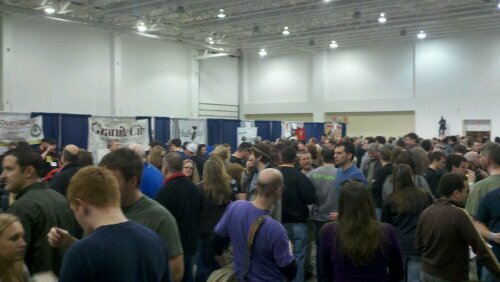 That's a lot of Brrr Lovers! 3) If beer wasn’t your thing, Cedar Ridge was present with Bourbon (aged and unaged) and few of their own vodkas and rums. 5) At 3PM, Peace Tree tapped a Templeton Rye aged Imperial Stout. There was a mad rush for the deliciousness, and it was worth it. 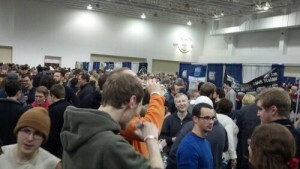 Those were my list of highlights for the Brrrfest. What did you like about the festival? 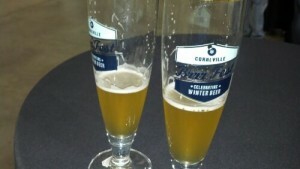 Coralville is hosting the first annual Brrrfest – celebrating winter beer. It will be held at the Coralville Marriott on January 28, 2012 from 1 PM to 4 PM. 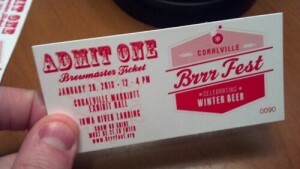 More detail can be found on their website: brrrfest.org. Hope to see you there! P.S. – A hardhat tour of the new Backpocket Brewery will be given to those who pre-order tickets.